In this fight two unbeaten heavyweights fighters meet iside the FFC ring. It occurs technical experience against youthful power. We are curious whether Stosic can use the 14 year age of experience for himself. As we promised yesterday, we had an exclusive interview with Aleksandar “Joker” Ilic about his private and sportive point of view. First of all, thanks a lot to you Aleksandar, for taking time for the questions of your and our fans. And also a big thanks to all those who sent us lots of questions to Aleksandar. 1. How did you come to MMA? 2. What fascinates you on MMA sports? As I did not come from the Martial Arts, I had not their "base". I began to learn and practice MMA from zero trying to become an all-round fighter. Every day is a new start in working to perfection which, unfortunately, we will never reach ... Generally I like to force my opponents in the match in one zone where they are the worst. 4. Who is your biggest role model/example? When I played basketball it was Michael Jordan, in MMA the most I like is George Saint Pierre because he acted appropriately and like a true gentleman, both in the arena and in front of cameras. Generally, the best athlete of the world with the best personality is our Novak Djokovic: he is our best ambassador of the country and the athletes of the world, a man who has shown that in life there are no borders, that everything can be achieved if you want it badly enough. He's a very charismatic, funny, cheerful person who is always smiling. He is a best example for a great champion. I see myself in the best organization in the world, surrounded by the best sponsors and friends around me. I am a successful athlete on top. I would also like to become husband and father one day. 7. What do you mean by honor? The biggest honor are the people around. To see all people who support me happy, healthy, content and proud on me makes me happy and that’s the biggest honor I can get. My coaches and sparing partners invest a lot of time work and effort in me, they waive a lot for helping me preparing the best, also my family who supports me all day all night. To have them around me and to see they happy is my biggest honor. 8. What is your family for you? Family is the most important thing for me in life, people who are with me 24 hours and who support me and also understand all my hard work ... They are a part of my team, and of my success! My biggest dream is to be the best fighter and athlete in the world with the good mind. And I want to have a lovely family and kids who are healthy and happy beside me and my beautiful wife... And we are surrounded with all good people, friends and all good things of life. 10. How do you deal with failure? I never like to lose, but I've learned through this sport that you do not need to win each round, you sometimes need to lose to learn a new lesson.... In any case, I'm not the type who gives up and who loses faith in yourself! 12. What's beside MMA your hobby? 13. What do you like doing in your spare time? 14. What MMA fighter you guessed the most? GSP, because despite of his big carrier and all success he remained down to earth, respectable and acting always sportive, showing fair play and good behavior. He made an amazing success, had the best tactic and style for every fight and opponent. On sees that the breathe, sleep and live MMA. 15. What would you like to tell your fans? 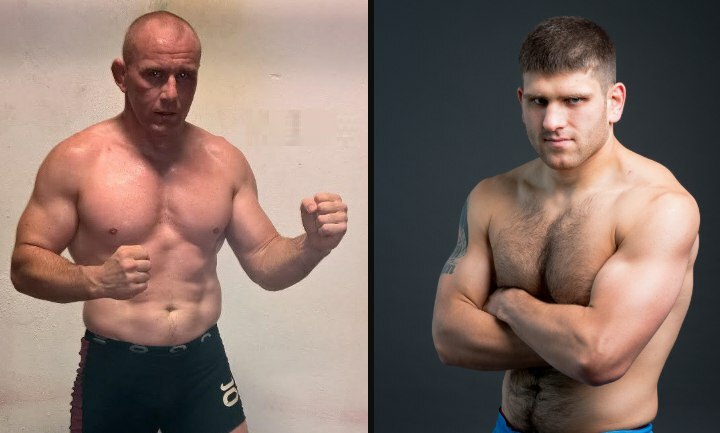 Andrey Seledtsov (5-2) is a prospective Russian fighter from MMA Nordic team. He's a complete athlete with an Army Hand-To-Hand fight background. He is also a former Spetsnaz soldier. Rene Hoppe (5-0) is a Freestyle Wrestling veteran from Germany. He came in MMA extremely late – with 34 years, and for the 1 year he defeated 5 opponents one by one. The fight will become a nice addition to M-1 Challenge 70 main card match-ups. Don't miss it on September 10th.